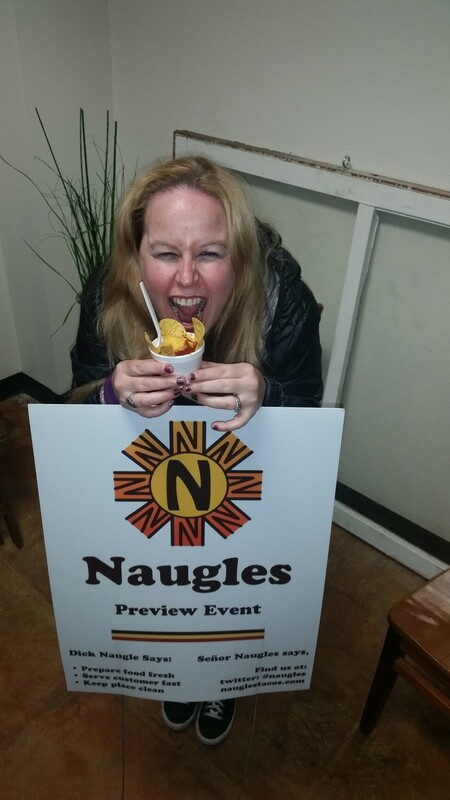 I just wanted to give a quick update about the reopening of Naugles in Fountain Valley to all of my readers as I said I would once I got more information! Many of you may know that this awesome restaurant chain that was ever so popular in the 80’s and 90’s has finally returned thanks to one person continually persisting and pursuing their dream! The test kitchen is currently open on weekends! I wrote about my excitement of Naugles when my friend, and owner of this new chain, Christian Ziebarth came to visit me at work to get my opinion on the launch of a few ever so poplar Naugles items that he wanted to have in his upcoming restaurant. 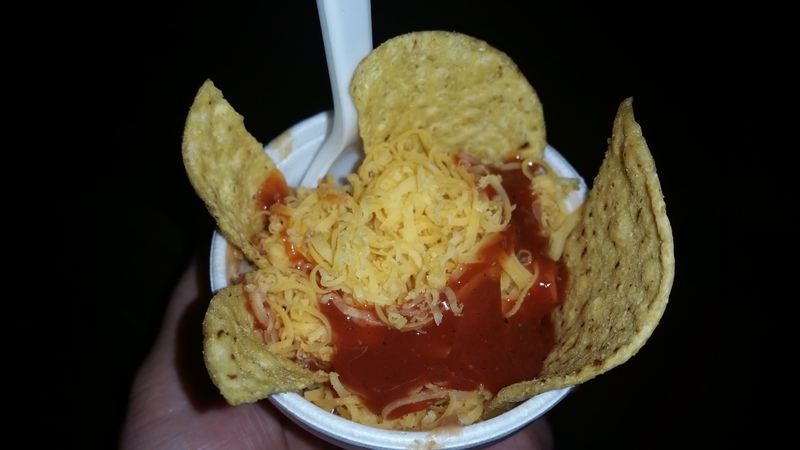 The excitement I felt when I devoured these items made me feel like I was a child again! 🙂 You can see that experience in this article here –> NAUGLES IS COMING BACK. 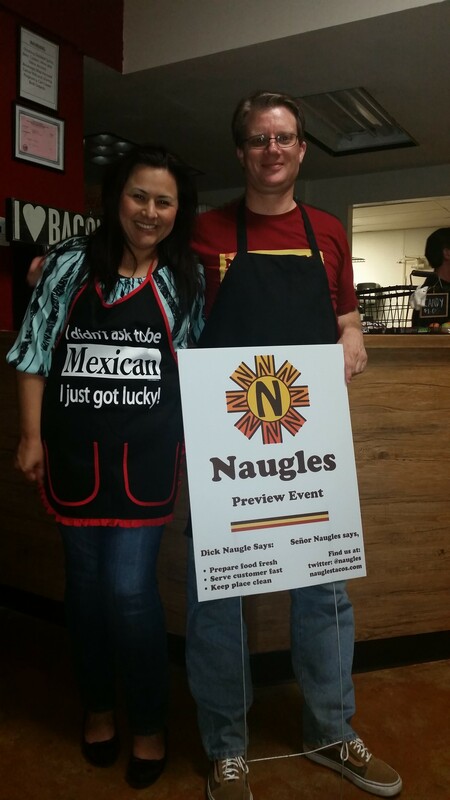 Now, only a few months later, Naugles has arrived in Fountain Valley, California and it has been a huge success! They have been ever so busy at their new location: 18471 Mt. Langley, Fountain Valley, CA 92708 They have even run out of food a few times! You can see the continual updates on their Naugles group page here –> Naugles facebook group and you can also like their newest restaurant page –> Naugles on facebook. Those of you that love Naugles and want them to grow and stay can also help in the success of this chain by donating to the GoFundMe account that is out there to help revitalize this awesome fast food chain. That link can be clicked on in blue above. Went to eat there this evening about 6 pm. Sign says closed until further notice???? I love Naugles. 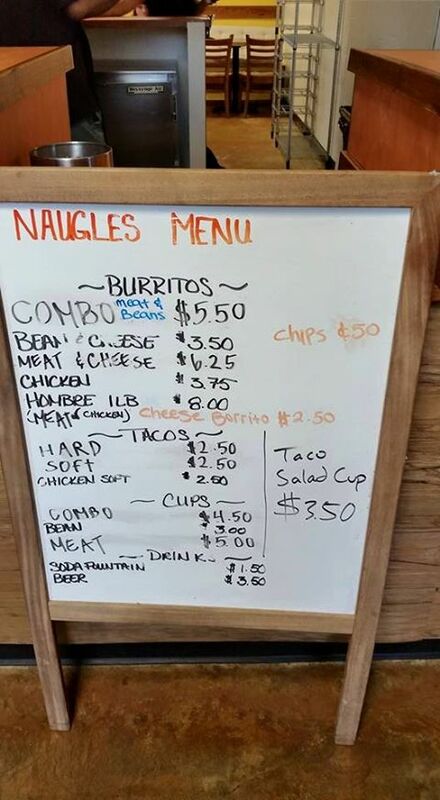 Naugles is the ultimate restaurant. 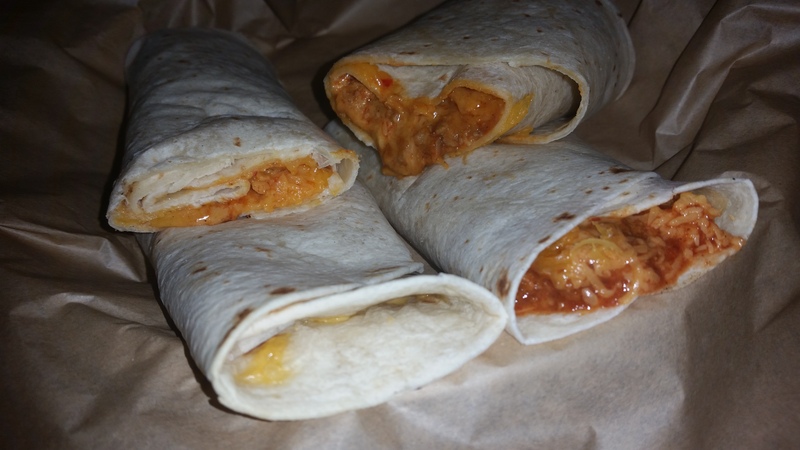 McDonald’s + Taco Bell = Awesome……better than Jack in the Box + Tacos Mexico. Go Naugles. Many wonderful memories and many Naugles in the ’80s.